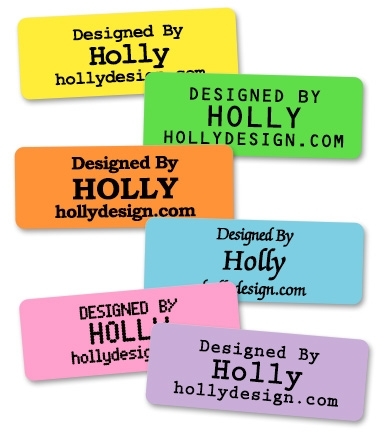 Three-line, colored iron-on labels available in your choice of six colors. Your choice of font style. Small top and bottom lines with a large middle line. Label preview in your choice of fonts and label color.